Facebook is one of the best and cost effective advertising platform in the world. It can reach a targeted audience and even do remarketing to take the targeting to the next level. Anyone of you using FB for some time would know it’s a love-hate relationship. You can do well a week, and the next week, costs increase, CPA , clicks change, algorithm change. Facebook is changing quickly and the policies and algorithm are also always changing. One of the biggest issues our clients and business associates face is the sudden rising cost of CPA, Reach and delivery issues and approval issues. What worked weeks ago may not work again this week. We heard our clients and associate lament over all the changes and we as an agency has faced the situation many times and adapting to Facebook’s changes. Because we can’t ask Facebook to stop changing, what we can do is to actually implement the best practices that makes our campaign structure solid, easy to monitor, easy to optimize and flexible enough to maneuver when CPAs are increasing. For all this to happen, the ad structure must also be clean and well organized. Tracking is highly important. A good structure will make tracking a lot easier. You will easily know which ad is performing, and the revenue from each specific ad. The biggest issue when we take over a campaign from a client is....the campaign structure is confusing and it is hard to isolate and identify the targeting that is giving the best CPA. Quickly identify which country, placement, age, interest, audience are giving you the lowest CPA. Able to make changes to stop high CPA ad sets, and able to quickly create new ad sets. Why organize in this manner? It makes it a lot easier to pause the expensive placements and countries and refocus the budget to the ad sets that are performing. Afer the campaigns, is the ad sets. Each of the campaigns should have exactly the same number and types of ad sets. Each ad set has it’s specific Interest and Targeting. Closely group similar interests into one ad set. This enables you to pause the non-performing interest and targeting very quickly and allows you to create new targeting quickly. Don’t run too many ads at one. Run a minimum of 2 and a maximum of 3 at any one time. Pause the one that is not performing and keep creating new ones to beat the 2 that are running. Before going into the the ad structure. You need to setup your Facebook pixels first. What are Facebook Pixels? They are codes that are pasted on certain pages of your website that determines an action that you want to track. For example, for any e-commerce, you must have a conversion pixel pasted on the ‘Thank You’ page, after a checkout is completed. 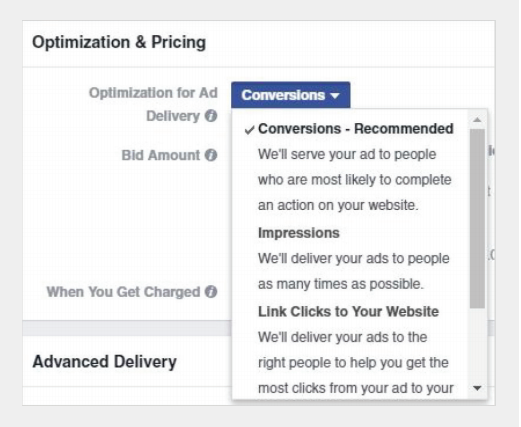 This can measure who actually made a purchase after clicking on your Facebook ad. Conversion Pixel - The pixel that determine an action, usually a Purchase. 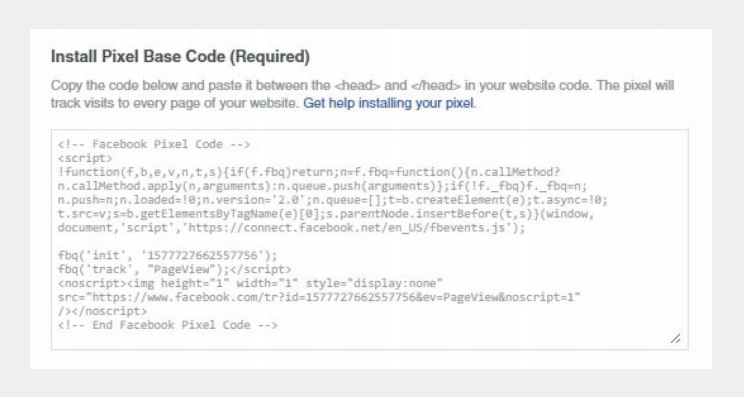 All Facebook pixels should be pasted on the <head></head> section of your website. To create a pixel go to the Tools > Pixels section. Page View Pixel - To retarget people who visit your website. Go one to click “Create Pixel’ if you do not see any pixel that was already created. Name your pixel and it will appear on the main Facebook Pixel dashboard. Now click on your Pixel , in this example it is ‘Default Pixel’. Now go to View Pixel Code. This is the ‘View Content’ or retargeting pixel you should use to paste on every page of your website. This is your base code. Creating a ‘Purchase’ action / event to be tracked. To create a Purchase or Conversion pixel, just the same code, but add this 1 line to the code. This modified based code should be pasted on your Thank You page, which is right aer a successful checkout. Go to ‘Tools’ and select ‘Audiences’, followed by ‘Create Audiences’. There are 2 main ways to use Custom Audiences, first is by uploading email lists of your leads. This could be emails of people who converted or emails of opt-in leads. If you select the ‘Customer List’ , the next window will ask you to paste your email into the box. Click ‘Copy & Paste Your Customer List’ and paste your emails there. Facebook will take a few minutes, or up to half an hour depending on the size of the list, to match those emails with their Facebook accounts. Make sure to name your list something that you understand. Sample naming conventions for Lists. Once the list is ready, Facebook will show a green light and the size of the target audience (that also have a FB account). This list is now selectable in your Ad Set targeting section. Custom Audience as you have done. But now you select ‘Lookalike’. Once you click that, select an original Custom Audience which you want it to be used to create lookalike. The next window has a slider, and this slider means how close you want the lookalike audience criteria to be to the original Custom Audience. Typically 1% works the best for e-commerce as it is the closest match to the original custom audience. Select the 1% and that’s it, you have created a lookalike audience! Wait for a few minutes and it will be selectable from the Ad Set level. Start with the name of the campaign and let’s make a ‘Mobile Newsfeed’ campaign first. For most ROI based campaigns, you’d want to select ‘Increase Conversions’ as the objective. Let’s go with this one for your e-commerce. The next section, is where you select your Custom Audiences, location and other demographic elements. The next section (same window) is where you can layer or narrow your Audience with other Interests. In the placement section, select just 1 placement first. For this tutorial, just select the ‘Mobile News Feed’. Afer selecting that, click to the next step, which is the ad creation stage. For Facebook Mobile News Feed , Desktop News Feed and Right Hand Side, the size 1200x628 pixels works great. Facebook automatically resizes them to fit those three placements. This is where you input your ad Text , Headline and News Feed Link Description. There is a character limit for every section. Once you are done, click ‘Place Order’, and then ‘Continue’. There you go, you have created your first campaign! So you have created the Mobile Newsfeed campaign just now. What’s next is to duplicate the Mobile Newsfeed campaign into campaigns for other placements. To do this, tick the box next to the first campaign you’ve made and then click ‘Create Similar Campaign’. Just accept and create the new campaign , rename it first to (Desktop) and keep the new campaign paused. Go to the new Desktop campaign and then tick the box to select all of the ad set. Click on ‘Edit’ aer selecting all the ad sets. Once you click ‘Edit’ you will see the following window. The ad image and ad can remain unchanged! Repeat the same duplication for Right Hand Side, and you are done for your first campaign with awesome structure! Warning! This technique goes against all conventional optimization techniques and theory. Bottomline....it works most of the time! This technique is simple, just duplicate the campaigns that are working. And don’t worry about overlapping targeting and all those things, Facebook won’t warn you about it.. The results above speaks for itself. The Australasia Australia (RHS) campaign was duplicated , and it was running concurrently. It did not increase the CPA of the original campaign, while the duplicated campaign got an even lower CPA than the original! Convention wisdom tells us that the campaigns might compete against each other while driving the costs up, but the reality is, it doesn’t do that. So how do we duplicate it? Don’t duplicate too many campaigns at once. Start with 1 or 2 and monitor the next day. Sometimes we duplicate up to Version 10. We continually monitor and some of the versions might have higher CPA than the others. What you do is pause the one with higher CPA, and duplicate the versions that has lower CPA. The process is to keep duplicating whichever campaign that doing well and then monitor. Sometimes Version 2 or 3 might not work, but Version 4 might be the best, so duplicate version 4 into version 5 as well to continually test. Yes, you can keep them running concurrently as long as the CPA is within your limits. Pause the campaigns that have CPA that is higher than your KPI.. While you should always begin a conversion campaign with Optimize for Conversions, if you find your campaign stagnant, experiment with other Optimization such as Link Clicks to Website, Impressions or Daily Unique Reach. We have some very good conversion campaigns running on ‘Impressions’. Even then do make sure your conversion pixel is active and able to track conversions. from our e-commerce tests. Use a large image, something like a hero image of your product that is unique. This shoe is the best performing as compared to other images. One key takeaway is the unique colors of the shoe and the product looks very clear and large here. The RHS ads stay on the right side of the browser even when the viewer is scrolling down the timeline and having a large image of the product is important. Also put some of your products that has the most outstanding features or colors as the ad image as well. Retargeting Tip: Discounts to Bring’em back! Rather than having normal ad for retargeting, do one that has a very easy to remember/type Promo code, just like this one. 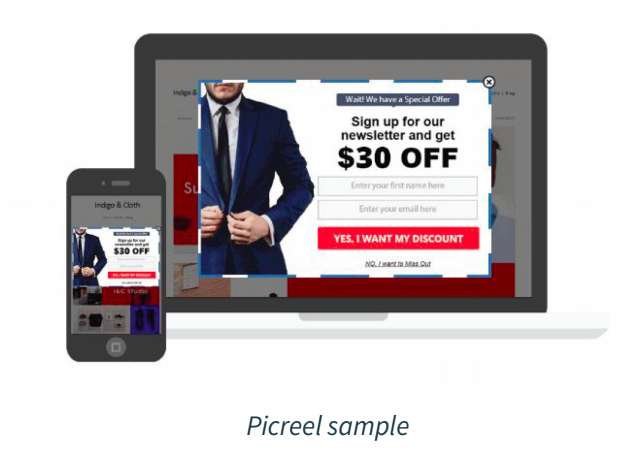 We have used Picreel.com Exit Intent tool to convert up to 30% of traffic that was about to exit the website. How Exit Intent tools works is that, it shows a pop-up just when the user is about to close the tab or exit the page. The soware detects the mouse movement and location and shows them a pop-up before they click to exit or navigate away from your website. Here’s the tip for e-commerce, in the pop-up show them a Discount to get them to make a purchase right now. Similar to the ‘FB10’ Discount code, do another simple code with discount just for the exit intent. Create an urgency for the call to action, get them to make the purchase now. There are 2 ways to do this. One is to straight away giveaway the code on the pop-up itself so the viewer will use the code immediately and make a purchase. This is more direct and won’t lose the flow of a possible buyer. The second method, is the get them to key in their email address to have the discount code sent to their email. This adds an extra step, but the bonus is, you can capture their email for retargeting and also to nurture the lead with email and so on. Picreel is very easy to use, it only requires you to paste a single line of code onto your website. Picreel’s dashboard contains analytical tools, and A/B testing tools. This is a no brainer investment that can reap in results almost immediately afer activating it, as tested by some of our e-commerce campaigns. Base on the past experiences working with e-commerces, custom audiences are the best and most powerful way to have lower CPA and to maintain it consistently low. While it is important for any FB ad campaign and Adwords, it is exceptionally more important with E-Commerce. It’s one more way to reach an incredibly relevant audience. You can target fans organically. You can target your email list or other oline customers through Custom Audiences. And now you can reach people who may not be either an oline customer or a Facebook fan, but who visited your website. Another very cool benefit is that you can isolate specific visitors within these Website Custom Audiences. So you can focus only on those who visited a specific page or section of your site, or those who visited pages that included a particular keyword in the URL. The most important thing for targeting in e-commerce is the audience lists that you have. Whether it is your customer list or remarketing audience size, this is your key factor in getting quality leads and reducing CPA. If you want a sustainable and long term stable CPA, build your lists as much as possible. For Peloha, they orered a free necklace for anyone. Peloha then ships the necklace to the person who signs up for it, all they have to pay is for shipping. This gives Peloha a database of the person's email, phone number and shipping address to send out marketing materials in the future. It also qualifies them as a potential customer as these people are willing to pay for shipping. For Mahabis, they spend heavily on ads while making less profits because they are more concerned with the Lifetime Value of the customer. entire future relationship with a customer . Keep in mind of the Lifetime Value of your customers. Giving out freebies (as long as they pay for shipping) and promotions and making less (or breaking even) is an effective way to build your list while at the same time, it qualifies someone who is willing to fork out money for your product. Add to Cart page - A pixel conversion for those that views their add to cart page. Purchase (thank you page) - Those that has successfully purchased the product. This helps us in 2 main ways. First is we can retarget those that Add to Cart or Initiated Checkout but doesn’t purchase. We can show them special oers to get them back to the funnel. This example shows some of the Audience that we created, revolving around cart abandonment. Secondly, it helps you figure out your cart abandonment rate and figure out how to improve your conversion rate. While you can also see this in Google Analytics, we prefer to have at least 2 platforms tracking the website so we can make a more informed decision. Other retargeting to make use o is all your website visitors but to break it down into days. 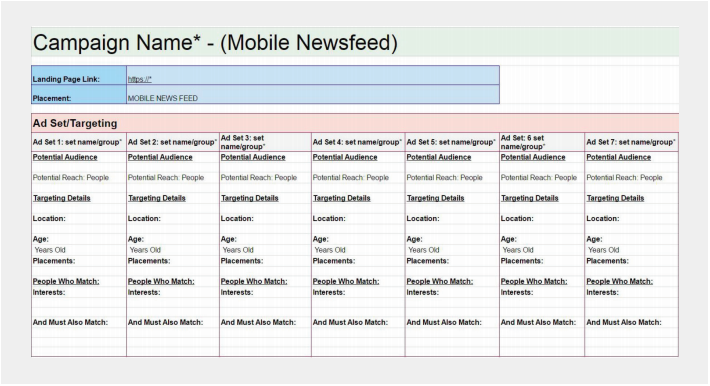 Do use the ‘Exclude’ Audience function to prevent targeting overlap if you want to. From this visitors audience, you can create lookalikes and then layer it with specific interests as well. Looking at the 1 Yen Cost Per Post Engagement, this is the reason why you should be building your own Facebook Page with highly engaged fans. If you haven’t realized already, CPC and CPM are on an increasing trend, while Facebook organic reach is dropping. The bottom line is the continue to post great content on Facebook and continually run Page Like campaigns to a very targeted audience. Run Page Like ads for Lookalike list, Friend of Fans and also Retargeting Audiences. Content marketing is rarely mentioned when it comes to running an ROI and CPA based campaign. Not surprising as many are quite unsure of how to content can link to ROI in the shorter term. Facebook is a great platform to propagate content to a wide and targeted audience, and with the advent of Retargeting, this brings a more quantifiable approach to content marketing. Boosting content and Retargeting the people who read that post. To create eective content, it begins with the persona of your target audience. A Persona is very useful for coming up with ad targeting as well as for content marketing. Here is an example of a persona we created for Denimio. From this persona, we created our ad structure and it also gives us ideas to create headlines for our content. For example, we wanted to gain awareness for people who are keen on Japanese Denim, so we created an article called Japanes Denim vs American Denim. This is the visual of the boosted post.It will be targeted to people who likes Japanese Denim. We got a huge amount of likes and shares for the content, and it ranked well for SEO as well. Here are the results of the content marketing efforts. We also ran other content marketing campaigns for other non-ecommerce clients and they worked great as well, provided proper research was done for the content title and subject. Below is the content marketing that we had done for a large Qatar directory and product listing site, Qatarliving.com. Take a look at some of the engagement there. Many e-commerce websites focus only on direct response ads, but based on our experience it pays to invest in content for the long term. Always set aside some budget for your content marketing eorts, it will pay o and help you stand out from your competition as you can cra your own brand story. For more examples of how to utilize content in Facebook advertising do check out the Native Advertising section below. To create the right topic that is engaging for your target audience, the very first step is to know how is your audience. Drill down specific to who they are , and what they do, their demographics and so on. The best way to start is to create a market persona of your target audience. There are many types of persona charts, but the most common starts with a name and a classification based on their job title or their interest. Create at least 3 personas to start with. Start with the name. Write down, what each person’s age is, and what they like to do. You can even include keywords as well to make it easier to think of content titles. If you look at the denim marketing persona above, you can see that there are 3 main groups of persona I want to target. The first one are Denim enthusiasts but not familiar with Japanese Denim, the last one is Japanese Denim Enthusiasts. The content topics and ad targeting will be very different. For those who are unfamiliar with Japanese Denim, I will focus the ads and content on American and European denim brands in the content and ad targeting while subtly promoting and educating them about Japanese denim in the content. For Japanese denim enthusiasts, I will directly write about the Japanese denim brands, while targeting and boosting the article to Japanese denim brand interests. American vs Japanese Denim: What is the Dierence? Are Japanese Denim Better than American? Aer you’ve rounded up the topic you want to write about, you need to improve on the headlines and ensure that the visuals are of good quality. If you are struggling in providing catchy headlines ,do check out Hubspot’s Blog Topic Generator, it is useful for times when you can’t think of anything. 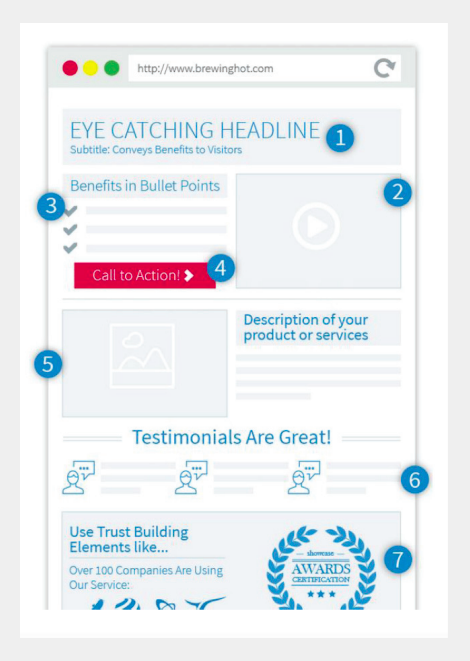 Native ads are ads that blend in with content almost seamlessly. Which piece of the BuzzFeed homepage contains native advertising? The answer is the entire page is littered with Native Advertising! This is a more extreme example. So how did we use native advertising for our clients? Remember that we did blog content for Denimio? Just like for our other ecommerce clients, we get them to insert a new Retargeting pixel on that particular content. 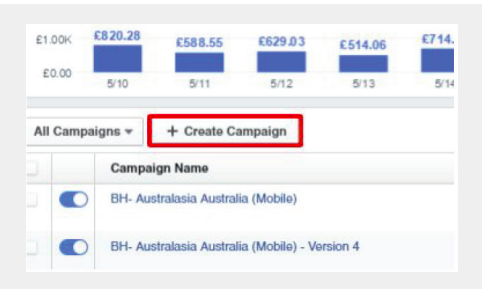 You can put both FB retargeting and Adwords remarketing pixel into the article. First, boost the post on Facebook for your content for a couple of days, or a day, it depends on how fast you can build the Retargeting audience. Make sure that at the end of the article, there is a call to action, whether to claim your promotion or to purchase a particular product. Second, once the Audience is ready, just retarget it and lead them to a landing page for the oer or e-commerce. 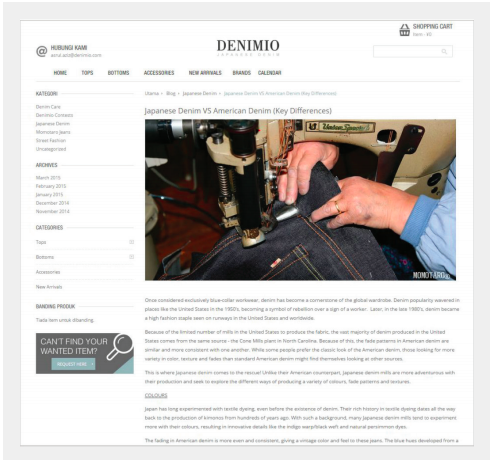 For Denimio, we normally write about a particular brand of denim, so we can retarget them to a particular brand of denim. This article was written specifically about Momotaro branded denim, in which we could retarget the readers with Momotaro denim page or oers. When we boost the article, it will also be targeted to Momotaro denim and Japanese denim related Interests, so it will reach out to a more relevant audience. Combined with 1% lookalike of previous purchasers. This is one of the Momotaro denim page we can link to, for the retargeting ads. Also remember, you can also place additional retargeting pixels for those people who actually landed on this page to be used for another retargeting campaign. One of the most understated aspects of e-commerce is the User Experience of the website. Make sure that your navigation, pages , sites are all properly segmented. The visitor should be able to find what they are looking for within 3 clicks. When we first started with Denimio, we had to improve some of the basic UX, such as the image below, we added the link to the blog into the red box. Previously the link was up in the small grey bar and it was not visible. Also the product category sections are confusing and some of them are not properly organized. We had to restructure some of the product categories. The side benefits of this is that it helped the SEO as well, as the page categories become easier to navigate, and the important categories are properly optimized for search engines. To achieve success in e-commerce on Facebook, you will need to build your foundation on a structure which is well-organized and easy to understand, that also allows you to quickly make changes to adapt to the changing landscape of Facebook advertising and competition. Once the foundation is right, make full use of Facebook’s Custom Audience arsenal, such as Email Lists and Retargeting. Be creative with Retargeting and always set a small budget aside to experiment with hypothesis and new ideas. Do not forget to constantly create your brand story by content marketing as this will help you in the long term in areas of brand awareness, establishing your authority & credibility and improving your SEO. Do not look just as short term ROI, but remember that your Lifetime Value of a paying customer is much more important.